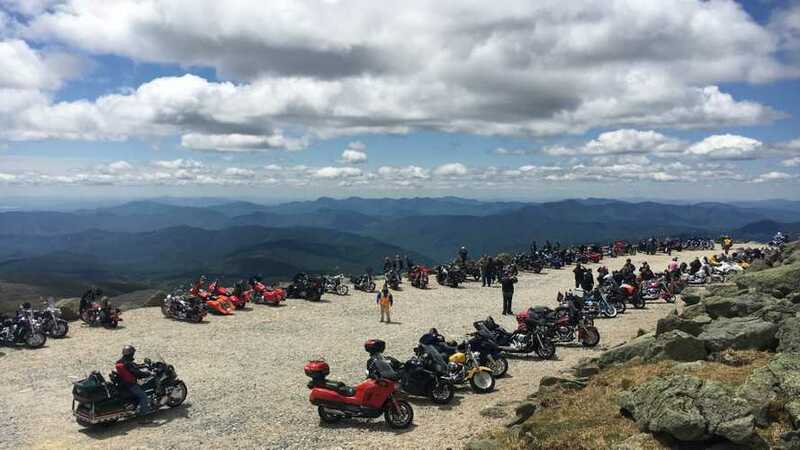 Mount Washington, New Hampshire, is far from the tallest peak in the U.S. at 6,288 feet, but it's the only place in New England to join the Mile High Club with your feet on the ground. It's also home to some of the wildest weather in the country. 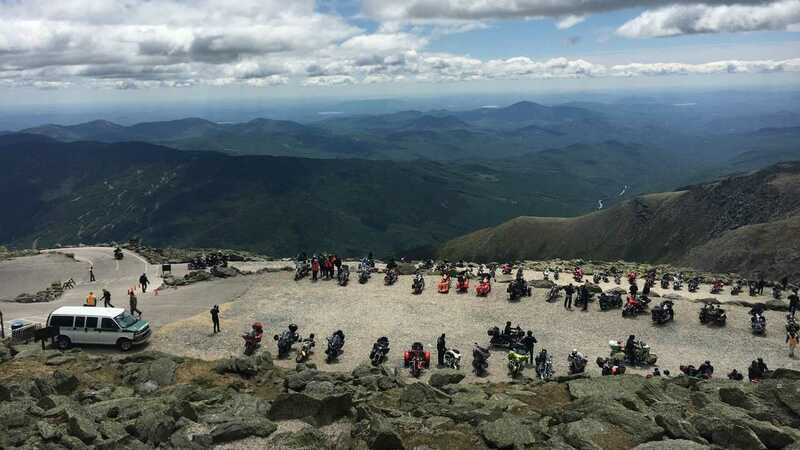 On Saturday, the Mount Washington Observatory recorded a wind gust of 148 mph, the fastest wind in over a decade according to NECN. This still pales in comparison to the 231 mph gust recorded back in 1934, which was the fastest gust ever until 1996. 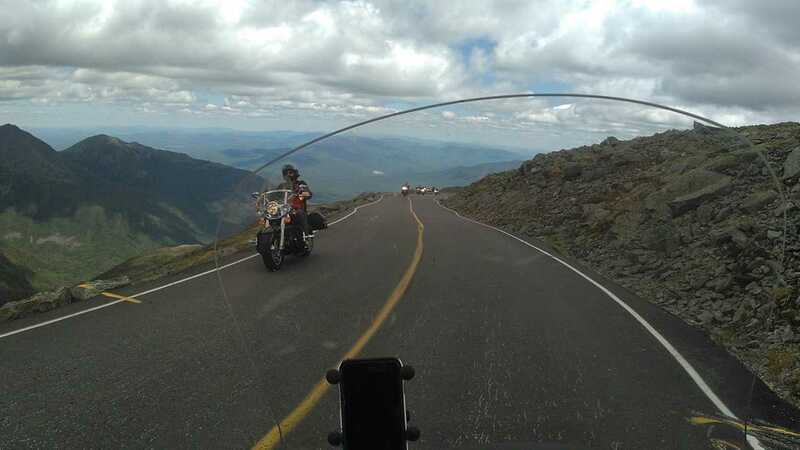 During the more mild part of the year, the road to the summit is open to the public, including motorcycles. 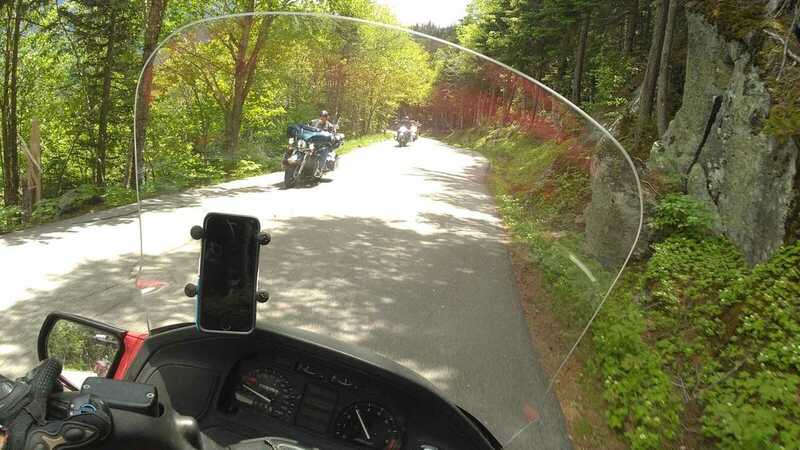 For two days a year, during Laconia Bike Week, the road is open only to motorcycles, giving riders a unique opportunity to experience the highest mountain in New England for themselves. The Mount Washington Auto Road was built between 1854 and 1861 and was intended for horses rather than horsepower. The first motor vehicle drove up the mountain in 1899, a Stanley Steamer that completed the eight-mile route in two hours and ten minutes. 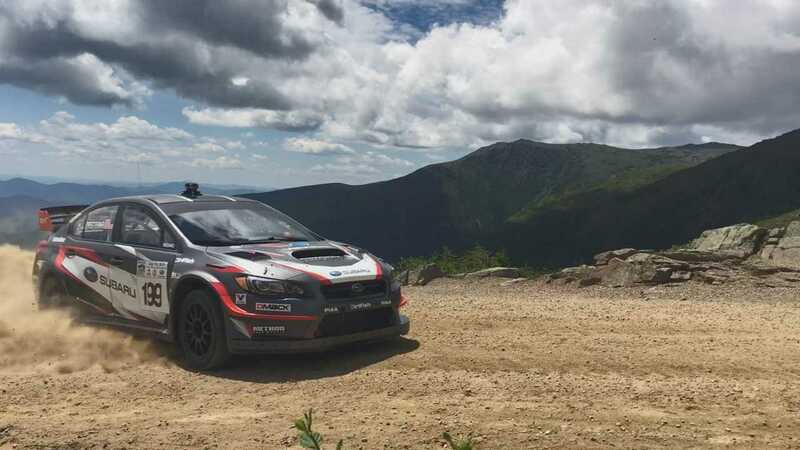 That's a far cry from the record time of 5:44.72 that crazy man Travis Pastrana set in a Subaru rally car in 2017. For a fee, you can take your own vehicle, with two, three, or four wheels, up this very same road. 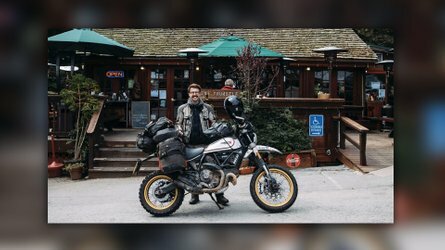 The speed limit of 20 mph does prevent you from making your own attempt at beating Pastrana's record, with the journey taking closer to twenty minutes than five. 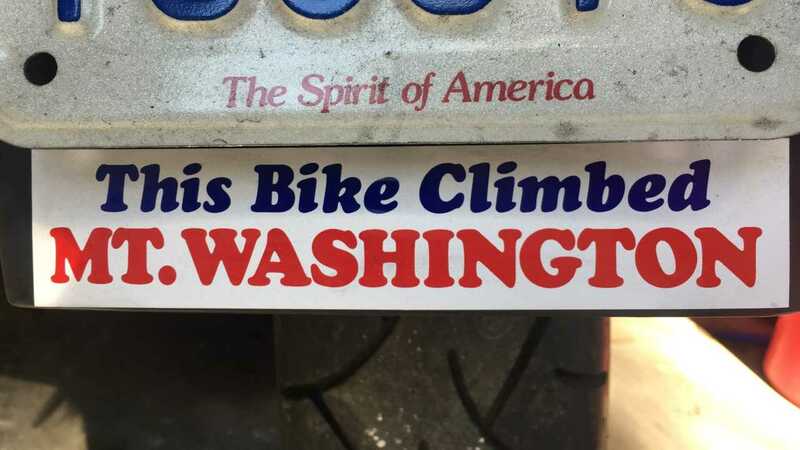 It's a steep, technical climb up the narrow twisty road. 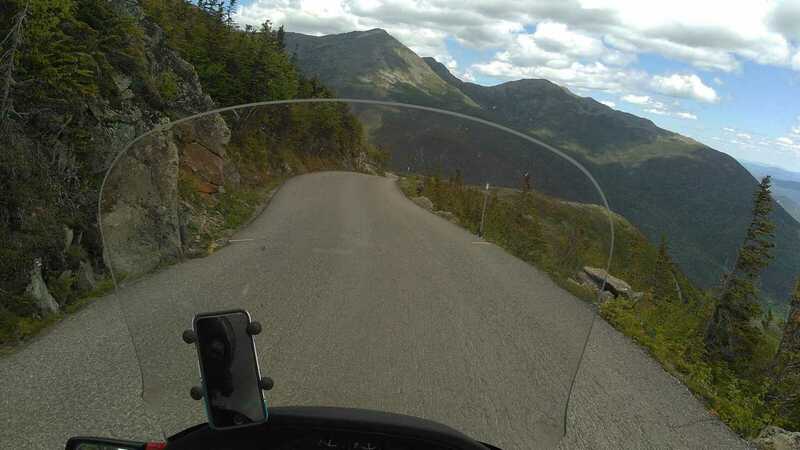 Some riders may feel intimidated sharing the road width with oncoming cars, which makes the Ride to the Sky an excellent opportunity to ride the mountain when it's less crowded. The ascent up the mountain begins much like the journey to the base, twisting through the granite and forests of central New Hampshire. 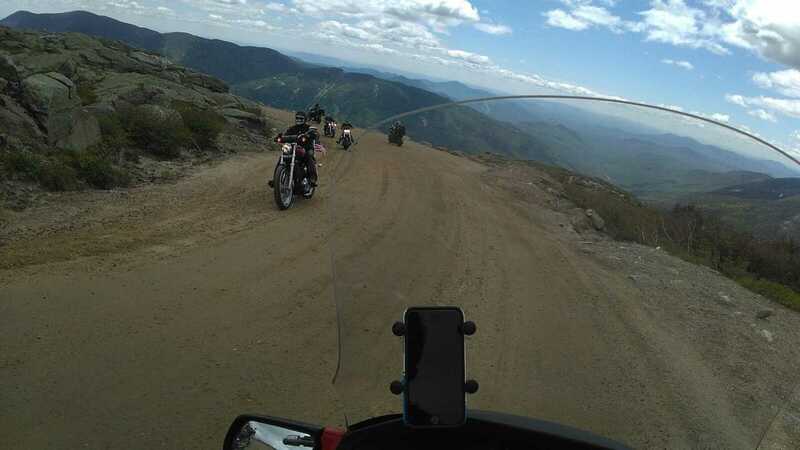 The road is steeper than most, and you'll be in first or second gear the whole way with a generous dose of throttle. Keep an eye on your engine temperature as you climb. There are numerous places to pull over on the way to cool off, or simply enjoy the view. Back on pavement again, the trees have disappeared completely, leaving you riding through a landscape that looks like an alien planet on Star Trek. You'll also notice a significant drop in temperature at this altitude, which may make your engine happier. Be sure to pack extra layers, even in June. Soon you will arrive at the top. Hopefully, like the day I rode up, the sky will be clear, providing a view of literally hundreds of miles around you. The gravel parking lot is a bit treacherous for a bike. 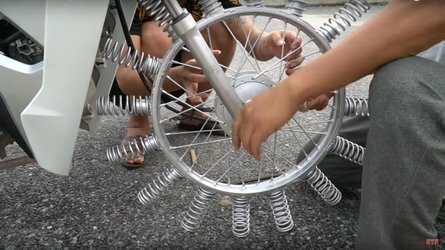 You may want to bring your own kickstand plate to ensure it will be stable when you park it. Take your time walking up the stairs from the parking lot to the summit. The air is thinner up there, and even if you're in good shape you could find yourself out of breath. On the way down the mountain, use a low gear, be careful not to overheat your brakes. If they start to fade, pull over and let them cool a bit before proceeding down. 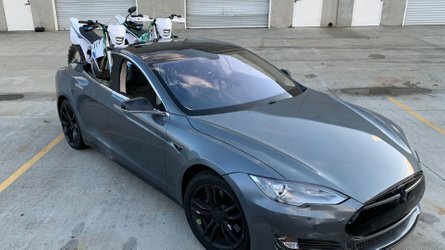 Eight miles is a short ride, but it's a fun, unique challenge. The views are unparalleled anywhere in New England. Plus, you get this nifty sticker. While they give it to you at the beginning of the road, I refused to put it on until I had successfully reached the top. Now, I've earned these bragging rights.